Is Isolation Harming Your Loved One with Dementia? 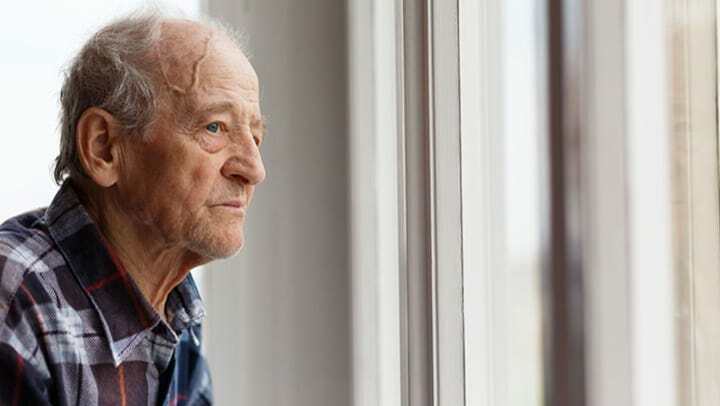 For those who live alone and struggle with dementia, each day can bring an increased sense of isolation and disconnectedness from the world around them. Their cognitive decline along with physical impairments, keep them from articulating their needs, let alone reaching out for help. The result can be a reduced quality of life. An AARP study a few years ago, looked at adults 50+ who were living in isolated situations and how it impacted the quality of their lives, socially, psychologically and physically. The risks associated with isolation included things like living alone, psychological or cognitive vulnerabilities, having a small social network, little to no social support and lack of access to the benefits of the greater community around them. The study also found, however, that a change in environment and level of engagement can provide the needed socialization and care to positively impact quality of life. In some cases, this can be achieved by simply moving the individual closer to family members, where they can be included in family gatherings on a regular basis. At our Anthem Memory Care communities, we understand the devastating impact isolation has on individuals with dementia. That is why our programs include daily socialization for all our residents. We know that regular interactions with other residents and our caregivers help them better connect in a more meaningful way. We also understand the challenges of families who want to do the right thing for a loved one but often lack the resources and support to take the first step. If you find yourself struggling with “doing the right thing” for your mom or dad, we encourage you to think about enrolling in a dementia support group where you can share your experiences and concerns with others and get the valuable support of trained facilitators, all of whom have first-hand experience with dementia. Please also feel free to make use of our resources to help you get the information you need to make the best decisions for your loved one.